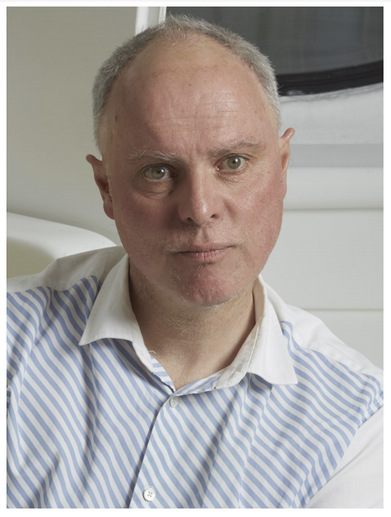 Jeremy Till is an architect, writer and educator, presently Head of Central Saint Martins, who has researched and written widely about the processes of design, buildings in use and professional practice. The interview took place in CSM, London on 28th March, 2017. I was reading your Architecture Depends when doing research in a school. “Contingency” appears a lot in that book and while I was speaking to an English teacher, it came up that there was a fire exit running through the middle of this large, nominally flexible learning space, restricting how she could arrange the desks and chairs and organise activities. This important but banal thing, the fire exit, came to have a role in the life of the classroom that exceeded expectations. And there’s this line you wrote that seems in some way connected: “My hunch is that architecture is the contingent discipline par excellence.” Could you say a little about what contingency means for you, and why it’s important in architecture? It means that things might be otherwise, how the best laid plans are disrupted by multiple events that unfold in space and how one allows, denies or accommodates those unknowns. What’s interesting in schools is the tension between a highly regulated sector in terms of room sizes, sometimes shapes even, fire exits and so forth that then has to accommodate potentially highly unregulated behaviour. This is a common problem in the design of buildings that are highly regulated — hospitals are similar. And I worry about some modern school design. I went around one in Hackney, Mossbourne whose Head had very, very clear pedagogical ideas — not having corridors but classrooms grouped around central spaces with the idea of developing identity and so on. The school was a spatialisation of a very particular form of pedagogy and power — he was a very powerful head. And I thought, “Ok, it might work for now but what happens in 10 years’ time when either he’s gone, the pedagogy’s changed or systems of power have changed?” I think school design is really interesting in terms of how these issues play out. Ok, so you brought in time there too, changing use, flexibility in that sense, something you’ve worked on with Tatiana Schneider [here and here] and putting forward a soft approach — could you talk a little more about how you see time, flexibility, contingency, softness as working together? If you pursue a very determinist or functionalist line of design i.e. a very hard design in which you determine what happens within the space to the last dot (clearly you can’t in reality, but that’s the attitude of more determinist design approaches) then it is going to restrict openness, restrict things unfolding in time, it’s going to restrict uncertainty playing out. But the danger is if you follow the argument too far, you’re left being either a relativist i.e. you can’t predict it so anything goes or else you end up with the most banal form of neutrality along the lines of “Well, because we don’t know what’s going to happen in 5 or 10 years’ time, we’ll just do a blank box and let them get on with it”. It’s trying to find a happy medium through the potentiality of suggestion and a soft set of parameters which you then allow people to adapt to. For example, daylighting in schools is pretty well known to be beneficial. Ventilation too. There are parameters around these things. So, there are certain parameters which the intelligent bits of the design guides pick up on and set as thresholds. After that, the over-determinism of some approaches to school design is unfortunate. There’s something counter-intuitive with space, certainly school space. When I started researching what people were doing with open plan, I started with the presumption that the most open space might be the most flexible. But it doesn’t necessarily, it can be quite terrifying. It’s something Hertzberger writes about, the design is failing the user if nothing is provided for them, you need some resources, some “suggestion” as you said just then. But how to get to this balance without determining what users do? One thing he talks about, and we do too in flexible housing, is providing spaces that aren’t fully determined. A simple example: there’s a fantastic block of flats in Zurich where the balconies outside are about 2 metres wide. They sort of knew that was enough to get a table in there — it wasn’t endlessly designed but neither were tables built in. They knew that if the balconies were 2 rather than 1 metre wide in the collective staircases, they would get inhabited. They were intelligent enough to know that there was a potential there and to stop short of “Ok, we’re now actually going to build in the seat”. That seems to me to be the difference — actually realising potential, thinking through scenarios. Scenario-planning becomes important and then adjusting those multiple scenarios as best you can to spatial solutions. But the myth of the 1960s — the ultimate indeterminate space where anything could happen — is, was, indeed a myth. Yes, how wide the structural walls are and then thinking about those widths in relation to subdivisions that happen in a sensible manner. For example, it’s difficult to divide 5m into anything other than 2.5m twice. Dividing 5m into three is too small. Things like that. What are the ideal structural dimensions? Some of the housing people did that rather beautifully. They worked it out: 2.4 metres could make a bathroom but twice that could give a living room, by itself you could just about get a bed in etc, etc. So, it’s thinking through rather basic and dull things but getting them right. That, and then the Hertzbergerian stuff we’ve talked about and some idea of slack space. Now it’s bloody difficult in the current day’s regime of schools because slack space costs. But you can do it, my partner Sarah [Wigglesworth, architect] does it. There’s always these spaces of suggestion that she builds into her projects, whether it’s about a seat in the corridor or a window looking out from a library. If you look at things like Sandal Magna [Primary School], some of the places she’s thinking about in the library are brilliant. She’s not saying “You have to do this” but there’s a kind of suggestion of window seat, light, glass at child height and they all go in there. Slack space, suggestions, possibilities, resources…for an architect I guess these are about enabling people to make a success of the spaces they use in ways that they want to. That’s important but isn’t it also a little risky from a policy perspective? Given that we’re discussing schools in a culture where teachers are constantly told about how much freedom they have but see very little evidence of it, I wonder if this applies to architecture too. Something I find interesting and worrying in education research is the way that it seems to be drifting towards tying all possible variables down for school life, for research too. And “impact” often needs to be pre-established which is a strange idea. Is that becoming a problem in architecture as well? Are architects forced to promise things that, actually, might have been easier to achieve in notionally less ambitious systems? They’re not forced to promise things. They are increasingly forced to execute very instrumental sets of briefs on other people’s behalf. There’s very little space for interpretation these days especially in such a regulated sector as schools where the brief now is often written by a project manager who is mostly interested in the quantifiable aspects of human experience, and how many sockets there are, how big the room is etc, and simply not interested in other aspects, other values of human experience. My students often ask “What happens in real life? What happens when we go out into practice?” and I’m insistent that there’s still space even within the most regulated systems to talk about human spirit and alternatives. The example I give is when they got rid of Building Schools for the Future and they handed it all over to the developers. One of them did a school for something like £1,580/m² and Sarah’s building near Stansted [before the end of BSF] had come in at around £1,650. She delivered for marginally, marginally more, a building that’s just so much better. She’d taken all the regulatory frameworks and interpreted them in a soft, intelligent manner versus the developer who just saw the regulations as a form of instrumental control. That’s it — as far as the developer’s concerned, they’ve delivered their brief. Rowan Moore did an interesting comparison in the Observer of these two schools. Well, not even redesign it. Can you interpret the box in a manner which takes it outside of purely instrumental or regulatory frameworks? Ok, so something architecture shares with other fields — how to retain a sense of meaningfulness for itself as a practice, and for people using what it creates? It used to be that architects were involved right at the earliest stages of developing the notions of a building. Some of the craziest things would come out of that over-elaboration of architectural impulse at such an early stage and when that happened, it often went down extremely formalist lines — if the architect is interested in blocks, everything will become a block — at the risk of overriding the real concerns a client might have. Particularly in school design, it’s how one gets away from purely instrumental value systems. In that respect, it’s also why Building Schools for the Future was a such a brilliant programme. The research project they did when they gave scenarios to groups of architects: build a two-form entry school on a sloping urban site or whatever and then each of the architects developed a set of researchable proposals that were then published. [here, PDF 20MB. See also *¹]. And they were also informed by the building guidelines in the bulletins. It was ground-breaking research that! Now torn up in the Gove-ite era. Some documents you can’t even find anymore — they seem to have been lost — even the Institute of Education library is missing some *². And the Building Bulletins — some of those are incredibly important as knowledge which has been accrued over the years and the people doing it were highly intelligent, really careful, concerned people. They understood about wellbeing, they understood about behaviour. A lot of that is now lost, so that the Tories’ developer mates can provide substandard schools for not very good value, and so that Michael Gove could play out his ideological fantasy of so called free schools. It’s rare you see small practices building schools these days. Well, it’s not just small practices, it’s good practices. All of that knowledge has been abandoned, it’s tragic really. They’re throwing up schools that are designed badly, built badly and managed badly. They’ve torn up things like width of corridors, minimum daylighting standards. All of that’s just been abandoned because the developer says it’s too expensive to put in big windows or wide corridors or rooflights. But architects are not very good at those feedback loops. And feedback loops haven’t been incorporated into what you’ve just said, an iterative production of knowledge. Ok, so how, where does this crossover and relationship between architects doing their work, architecture as a culture and a practice, and clients and users happen? You have this thing called participative design, but how do you see that happening or the potential for that? Notionally, it happens all the time but often in a very token manner. True collaboration is where the architect is listening rather than imposing, where the client is open rather than completely determinist. And when it does work, it’s amazing. But you asked where the responsibility of the architect starts and stops — well, it never stops. Legally it stops. This is one of the problems of not having an ethical code of conduct. If you had one then the responsibility would be much longer, not just in terms of to the client but to the planet too. But those are not seen as necessary parts of architectural delivery. One of the things that I wrote in Architecture Depends is that no architect — or no architect I know of — ever set out to make the world a worse place. There is something naturally optimistic and inherently transformative for the better about architecture as a discipline. But the means of achieving that “better” are often misplaced. The better is often associated with better forms of architecture — aesthetics or technics or whatever — so giving the sense of being able to save the world with a “better” architectural solution. But that’s not how the world works. I suppose what I’m calling for is a sense that since architectural attention as to what constitutes the “better” has been misplaced, it could therefore be redirected. And for me the “better” always resides in a better form of social relationship. So, in relation to school — what is the best learning environment rather than what is technically or formally the most innovative learning environment because they may be two different things. Too often, what constitutes “the better” is never fully resolved or is misplaced. You seem to want to make a move, almost in ontological terms, about what architecture is: “Let’s stop making it about the building, and make it about the practice as a social practice”. Yes, with buildings in that. I’m often accused along the lines of “Well, you don’t like buildings, do you Jeremy?” But I reject that accusation: of course, the production of space and how a building contributes to that is an integral part of architectural practice. But there’s much more to it than simply the object. There’s what comes before in terms of processes of consultation, research, in the understanding of social dynamics, of collaboration, of empowerment, and there’s what comes afterwards in terms of the anticipation of change. And in the middle, there’s a thing called a building. I suppose often the building stands in for all of that, this thing we call school. But I want to move on to competitions before we run out of time. Italy has set up competitions across the country where practices are allowed to submit entries for only one school. The idea of competitions themselves is interesting if they’re used in a formative sense (in terms of feedback) but summatively, it seems there’s a lot of lost work… Where would you start? Sacrifice? As in you put the work in but by definition 95% of those people putting the work in are never going to get the rewards? Yes, extraordinary sacrifice, this is unpaid labour. What other profession would allow itself to be exploited like that? Why, then? Is it the idea of the stage, the winners, the whole fantasy of the competition? The fantasy is that you’re designing in a semi-unfettered space because you don’t have the conversations, you don’t have the contingency that grounds those conversations so there’s a kind of dream world, a parallel universe of competition, that allows architects to dream. A competition’s only as good as (a) the people setting them and (b) judging them. However much they say “We’re looking for an architect, not the building”, they’re always looking for a building. But given the limitations of the process, the only way that building can be evaluated is through drawings of it, which in turn privilege the formal over the social, the aesthetic over the spatial experience. *¹ An interesting discussion on some of these documents, their background and CABE’s schools design panel is in Singer J. (2015) “Successful Secondary School Design in an Age of Austerity” in the book School Design Together edited by Pamela Woolner. *² UCL have attempted to preserve all government documents relating to education through their Digital Education Resource Archive (DERA), but link-rot in the government’s web archiving meant that prior to DERA starting in 2011, some documents are lost. Next How to make a basic school design pedagogically interesting? Learning from a case in Ecuador.